Way back in 2009, I thought it would be fun to record and post clips of three very different mandolins on the Mandolin Cafe, to see who could tell the difference. This was a fun experiment and a tonally enlightening one. Here are recordings of two arch tops and one flat top. I have not listed them in order, I’d like to see who can match the sound to the instrument??! Sound like fun? Both files play a selection on one instrument, then the same selection on the second and then the same selection on the third. The instruments are in the same order on both files. 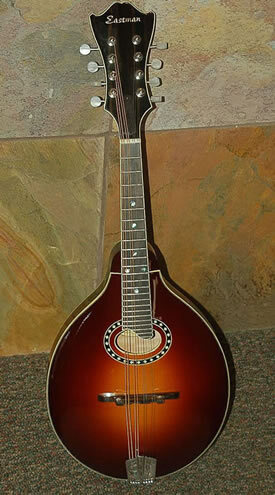 I just took my mando down to the music shop, comandeered (sp?) two other mandos and lined them up in a line and went through playing the same thing on each. This was recorded on a Zoom h2 using a proplec heavy pick. The distance from the recorder was the same on all instruments. Mountain, nor on the way back. I’ll post the correct answers Monday or Tuesday of next week to give plenty of folks time. You can read the rest of the posts here on this thread. They are entertaining. Out of 13 people guessing (oops I mean listening).